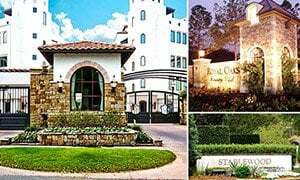 The Memorial Houston neighborhood is a diverse collection of smaller yet equally luxurious communities west of Downtown Houston. Shadowed by large pine and hardwood trees is an area full of elegant homes with some of the most spacious lots in Houston. 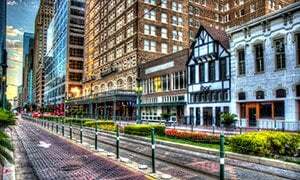 GREAT LOCATION: Memorial Houston offers easy access to main thoroughfares and city streets that lead to Houston’s Galleria, Energy Corridor, Memorial City Mall, and Town & Country Mall. There are also many great restaurants, hotels, medical facilities, shops, and business offices in the area. 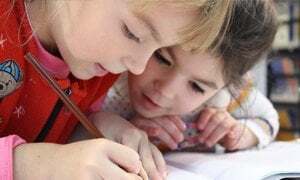 GREAT SCHOOLS: Highly acclaimed Spring Branch Independent School District and the Houston Independent School District operates public schools in Memorial Houston. 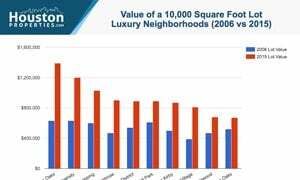 VARIED REAL ESTATE MARKET: The Memorial Houston real estate inventory includes homes that fit every income level and has continuously displayed high appreciation rates. 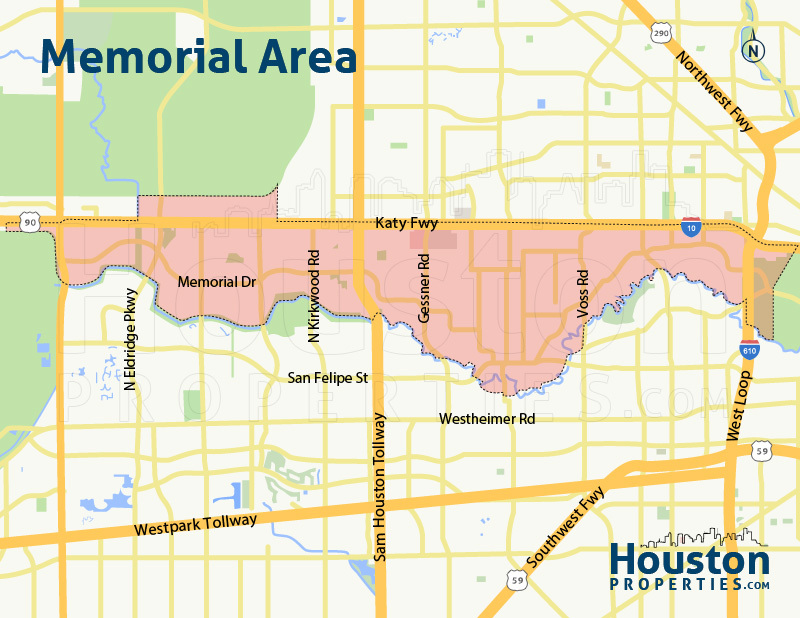 Due to the large area it covers, navigating the Memorial Houston real estate market can be particularly challenging. Each smaller subdivision has their own unique culture and employs different deed restrictions. Working with the best Memorial Houston realtor with a long track record of success in the area, has knowledge of non-MLS inventory, and understands your needs will help you find your dream home. 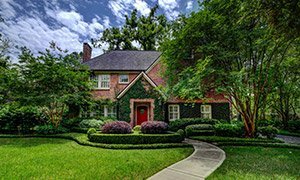 Below are the best deals for Memorial Houston Homes Under $1,000,000. I am interested in Memorial and would like to get more details. 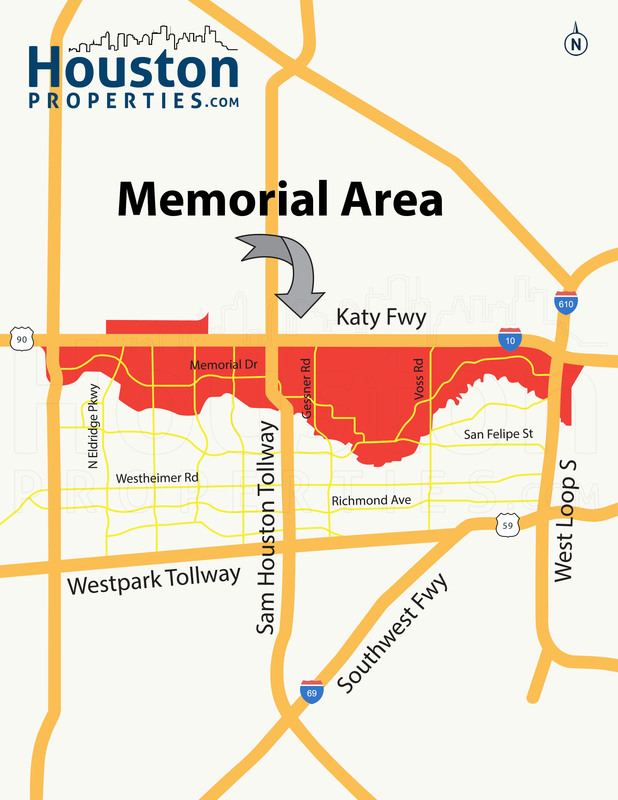 Memorial Houston is located south of Katy Freeway, between West Loop 610 North and West Beltway 8. 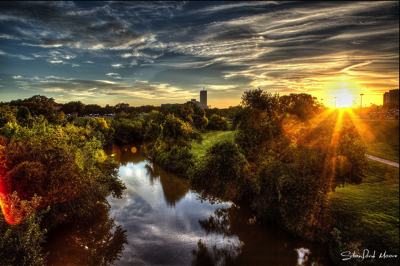 It is bordered by Buffalo Bayou to the south, I-610 to the east, Texas State Highway 6 to the west, and extends partly north of Katy Freeway. This strategic location gives it easy access to major freeways and city streets. Cruising along Memorial Drive provides scenic views of the Buffalo Bayou. 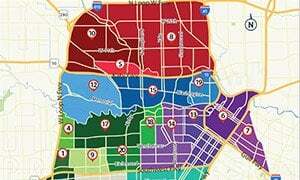 While most of the area remains car-dependent, the areas near the main thoroughfares are lined with the best Houston restaurants, shops, and boutiques. Two of the busiest business districts in Houston, Energy Corridor and Downtown Houston, are also within a few minutes from Memorial Houston. It’s the perfect place for those who wish to live near the city’s most exciting districts and remain close to nature. The Memorial Houston Real Estate market has experienced a resurgence in the past couple of years due to the trend of tearing down older properties to make way for new constructions. Outdated properties are replaced by luxury townhomes and condominiums, mixed-use developments, and businesses. Developments in the neighborhoods are not uniform, making housing styles in Memorial more varied. Popular home styles include Georgian, bungalows, and cottages. Majority of Memorial Houston students are zoned to the highly-acclaimed Spring Branch Independent School District (SBISD) while the rest attend Houston Independent School District (HISD) schools. Many of Houston’s notable private schools are also within Memorial. Memorial Elementary School at 6401 Arnot St. Memorial ES serves students grades PK -6 and has a GreatSchools.org rating of 6/10. Stevens Elementary School at 1910 Lamonte Ln. Stevens ES serves students grades PK-5 and has a GreatSchools.org rating of 4/10. Briargrove Elementary School. It has a GreatSchools.org rating of 6/10, and students perform well above the state average. Bunker Hill Elementary School at 11950 Taylorcrest. Bunker Hill ES is a TEA Gold Performance School and a consistent Texas Exemplary School. It has a GreatSchools.org rating of 9/10. Frostwood Elementary School at 12214 Memorial Dr. Frostwood ES has been a National Blue Ribbon School for many years. It has a GreatSchools.org rating of 10/10. Hunters Creek Elementary School at 10650 Beinhorn Rd. Hunters Creek ES serves parts of Hunters Creek Village, Stablewood, and some areas of Houston. It has a GreatSchools.org rating of 8/10. Memorial Drive Elementary School at 11202 Smithdale. Once a National Blue Ribbon School, Memorial Drive ES serves sections of Piney Point Village, Hedwig Village, Hunters Creek Village, and Bunker Hill Village. It has a GreatSchools.org rating of 10/10. Shadow Oaks Elementary School at 1335 Shadowdale Dr. A few sections of Memorial City is zoned to Shadow Oaks ES. It has a GreatSchools.org rating of 2/10. Valley Oaks Elementary School at 8390 Westview Dr. This recently rebuilt school has a GreatSchools.org rating of 7/10. Wildcat Way School at 12754 Kimberley Ln. Wildcat Way School serves Pre-K students in the Memorial area and has a GreatSchools.org community rating of 5/5. Grady Middle School at 5215 San Felipe Rd. Grady Middle School is a TEA Recognized school with a 6/10 rating from GreatSchools.org. Spring Oaks Middle School at 2150 Shadowdale Dr. Spring Oaks MS was a former recipient of the National Blue Ribbon Award and serves residents of Shadow Oaks, Westwood, Pine Shadows, and Sherwood. It has a GreatSchools.org rating of 3/10. Memorial Middle School at 12550 Vindon Dr. Memorial MS serves students grades 6-8. It has a GreatSchools.org rating of 10/10. Spring Branch Middle School at 1000 Piney Point Rd. Another former recipient of the National Blue Ribbon Award, Spring Branch MS has a GreatSchools.org rating of 7/10. High School for Law Enforcement and Criminal Justice at 4701 Dickson. LE/CJ is an all-magnet school for law enforcement and criminal justice. It has a GreatSchools.org rating of 8/10. Lee High School at 6529 Beverly Hill Ln. Lee HS ranked #151 out of over 16,000 schools nationwide in a Newsweek Magazine article in 2010 on “America’s Best High Schools”. It has a GreatSchool.org rating of 2/10. Lamar High School at 3325 Westheimer Rd. Lamar High School has a great Athletics program. They have one of the oldest lacrosse programs in the state. Their football team, The Lamar Redskins, is one of the highest-ranking teams within the Greater Houston area. It has GreatSchools.org rating of 7/10. Westside High School at 14201 Briar Forest Dr. Westside HS is Magnet School for Integrated Technology. It has GreatSchools.org rating of 7/10. Memorial High School at 935 Echo Ln. Memorial High School was named the 10th most posh public school in the country in 2011. It is also the oldest operating school under the Spring Branch ISD. The school serves students in the Memorial Villages, Spring Branch regions, and a portion of Memorial City. It has a GreatSchools.org rating of 8/10. Spring Woods High School at 2045 Gessner Dr. Spring Woods HS serves a section of Memorial City. It has a GreatSchools.org rating of 4/10. 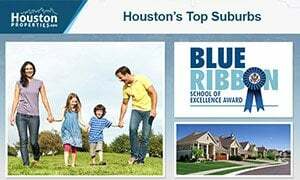 To find an updated listing of all Memorial Houston real estate zoned to any specific public school, please email Paige Martin at Paige@HoustonProperties.com with the property type and budget that you’re looking for. 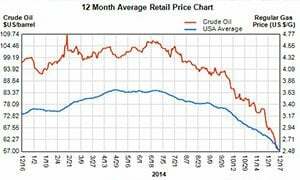 *Note: school zoning can change from year to year, information above is deemed accurate, but not guaranteed. Please double check. Paige is ranked as one of the best realtors in Memorial, Houston, and the state of Texas. Paige was named the #1 Ranked Individual Agent in the Keller Williams Memorial Office for the last four years. She has been a consistent top producing agent, winning awards every year since 2007. Read more about the over 65 awards she’s won in the last few years. Paige works with a tremendous number of buyers and sellers in Memorial.